Did you know you can do your loan modification on your own, without having to pay for the service of a professional? Many consumers today are looking to cut the cost of their mortgage, and a loan modification is one way to do that. Do it yourself loan modification is a complicated business, however it is very possible to accomplish. If you decide you are going to give it a try on your own, there are two important things to keep in mind. First and probably most important, you need to be honest with yourself, and with your lenders. 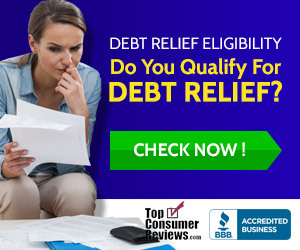 When you submit your application, your lenders are going to want to see hard evidence that your debt to income ration, or DTIR, is what you claim it is. If there is any hint to them that you may be lying, or inflating the numbers, you will not be approved. The second important thing to remember when performing a DIY loan modification is to keep record of everything. Get every person's name and title when you make phone calls, reference promises and comments, keep track of dates and times. Write down everything piece of information you hear. Your mortgage company is not out to steal from you, however they are a large business, and sometimes miscommunication ensues. You want to make sure you keep a tab on everything just in case. If you are ready to start modifying your loan, give your mortgage company a call. Don't waste your time with customer service, because they can't help you. Instead, ask to be transferred to the loss mitigation department. It may also be beneficial to ask for the direct line to this department, to save time when calling later. When you reach the department, explain your situation to them. Tell them you may be delinquent on your loan and you need to modify it to avoid falling further behind, or foreclosure. Don't say for certain that you are going to go through foreclosure, because a lender will not waste their time with you. You are just trying to convey the seriousness of the situation, and that it requires immediate attention. At this point they are going to ask you a handful of basic questions. Just remember to be very honest with them. If the company decides that you qualify for a loan modification, they will send you everything you need to complete the DIY loan modification process.